Military Strength: A small but extremely well-trained and seasoned assemblage of various troops, particularly noted for its' Knights, Scouts, and its' Garrison forces. Wealth: 3 While revenue is high, the well-equipped military forces and defenses of the County require a lot of upkeep, and the Cassomirs' policies often funnel a good bit of the wealth they garner back into their communities. House Cassomir is a vassalage to House Tracano in Rivana, overseeing the County of Ironhold. They are renowned for producing excellent warriors and their strong sense of honor, but are recovering from a recent spate of misfortune in the wake of the Rivanan Civil War. House Cassomir has long been virtually synonymous with their Tracano lieges, and with good reason. House Cassomir earned its' noble title during the formation of the Kingdom of Rivana. In 1363, when a particularly large warband of Brodlund made its' way into the nascent Kingdom, Sir Daved Cassomir, the commander of Travian Tracano's personal guard, led a detachment of 300 knights to buy time for Travian to muster his forces. Sir Daved and his Knights held back the horde in a narrow pass along a coastal road, where their small numbers could effectively fight against the Brodlund Raiders' much greater forces. Sir Daved and his men held the pass for eight days, and though on the sixth day they were joined by a small number of fast riders sent by Dima Haldis, they (and their Haldis allies) ultimately were slain to the last man, though their sacrifice bought House Tracano the time needed to mount a strong defense. After several more weeks of hard fighting, the Raiders were thrown back, and the fledgling colony of Sunsreach remained secure. In recognition of Sir Daved's sacrifice, his son, Sir Javier Cassomir was given rule over the rich Iron Mines and their surrounding lands in the Tracano's holdings, and thus the Barony of Ironhold was born. True to the spirit of their heroic ancestor, House Cassomir attained a reputation for producing some of the finest knights of Rivana, with many of their sons (and occasionally daughters) serving as members of Rivana's Royal Lancers (who were the spiritual descendants of the Knights that Sir Daved had led as Travian's personal guard). Indeed, over the course of five centuries, more noble sons of House Cassomir have held command of the Royal Lancers than all the other noble houses of Rivana combined. Children of House Cassomir have fought and died alongside their Tracano lieges for the entire history of Rivana, and accumulated a much-storied reputation (helped in no part by a bit of "embellishment" on the part of their Tracano lieges when the tales are spread) for glory and honor. Even before the unification of Rivana was fully completed, another scion of House Cassomir had distinguished himself, when Baron Javier's second son Sir Tedric Cassomir led a decisive charge of the Royal Lancers that collapsed the flank of an invading Kherzari Horde and thus secured the last great victory of the Unification. As the centuries passed, House Cassomir continued to be shown great favor by the Tracano lieges, but the House always strove to make certain they remained worthy of such reward. In 1432 IE, Baron Neale Cassomir perished while defending the King of Rivana when three Alhazred Princes combined their forces to lead a surprise assault on Rivana. While House Tracano managed to push the first Prince's invaders out of Sunsreach and its' surroundings, and House Haldis handily smashed the forces of a second Prince at the Battle of the Salted Shore, the third Prince attempted to maneuver around Sunsreach and strike into Rivana's heartland. Thinking that Ironhold's mines would be easy pickings along the way, with most of the men having headed south to Sunsreach for the defense, the third Prince invaded Ironhold. Driven from Ironhold Castle, Lady Monica Cassomir went into hiding in the dense forests, gathering those remaining folk of Ironhold who had skills in hunting and stealthy movement in the forests (most of whom were women), and led a ruthless guerilla resistance to the Alhazred Invaders for six weeks, keeping them confounded and the main bulk of the Alhazred Prince's forces mired in conflict there until Cassomir forces returned from the battles around Sunsreach with massive reinforcements from Houses Tracano and Haldis. Suffice to say the Third Prince and very nearly all his men did not survive to return to Alhazred. Legend claims that Lady Monica herself put an arrow through the Prince's throat as he tried to rally his men, and that her Huntresses (who would subsequently become a permanent part of the Cassomir forces) annihilated his royal bodyguards in a masterful ambush. More recently, men of House Cassomir fought well in the Thirty Years' War with Couviere, though like much of that conflict, whatever gains they made tended to be erased by losses in other areas. Still, the heir of House Cassomir, Sir Aric Cassomir, did distinguish himself in the fighting. Most notably, after having pushed forward on his part of the Rivanan lines, Aric found himself surrounded by Couviere forces, as the Rivanan elements on his flanks had failed to secure their own objectives. Despite this predicament, Sir Aric led his men in breaking through the Couviere forces surrounding them, and wheeled around to smash a large portion of them between his own forces and those of House Gerrell who had been on his left flank. While that segment of the campaign remained a stalemate in terms of territory gained, it resulted in far more Couviere forces lost than Rivanan, and was judged one of the relatively few inarguable victories of the War. The conclusion of the Thirty Years' War had Baron Aric Cassomir looking forward to a period of relative peace, but this was not to be. When the Succession War erupted, House Cassomir was shocked and pained to learn that House Haldis, long their staunchest ally outside the Crown, had sided with the Thorn. Despite this, they chose to marshal with the Rose, and over the next five years there were more than a few times when the blood of Cassomir knights was all that prevented the Rose from being overtaken. Sadly, Baron Aric lost his two eldest sons in the fighting (specifically in the same battle in which the original Rose fell). Still, the Cassomir name again came to the fore when Baron Aric's fourth son, Sir Jaren Cassomir, a Royal Lancer who had been assigned as protector of the Rose's daughter, single-handedly fended off seven assassins in a single attack, though he took serious wounds in doing so. The Battle of the Betrayer occurred not long after Sir Jaren's heroics, and in so doing, the military power of the Thorn was all but broken. This did not, however, prevent some of the remnants of the Thorn's forces from invading Ironhold in 1861 IE. What exactly occurred over the next few weeks is not entirely clear, but it is known that the defense of the Barony was compromised somehow, and that by the time all was said and done, Baron Aric, his wife, and his eldest surviving son had perished. The original family seat of Ironhold Castle had burned as well. The Thorn's insurgents were eventually routed, largely through the efforts of Baron Aric's eldest daughter Raelyn and her Huntresses, as well as reinforcements led by the late Baron's youngest son, and Sir Jaren Cassomir became the Baron of Ironhold. Upon the coronation of Queen Alysande Tracano, Baron Jaren was named the Queen's Champion, and was granted a great boon in the form of assistance to help his House recover from the tragedies of the Succession Wars' last days. A new castle was built near Iron March, dubbed Roseguard Castle in honor of Jaren's defense of the Queen. A royal steward was assigned to help the new Baron administer his lands, as much of his training had led him towards the path of a Royal Lancer, not a Baron. Eventually, it seemed as though House Cassomir had found its' footing once again, ready to continue its' long-held duty as the Shield of House Tracano. Just as the Baron was beginning to grow comfortable with his role, he found it expanded when Queen Alysande elevated Ironhold to a County, bestowing upon him the title of Viscount. Still, the transition was made more smoothly than the new Viscount could have hoped, and thankfully so, as House Cassomir unsurprisingly found itself on the front lines of the Thorn Insurgency in 1865. Once again, the members of the Cassomir family made their mark battling against the Thorns, with their Huntresses taking part in several battles, and their soldiers never failing to heed the Tracanos' calls for aid. With the end of the Thorn Insurgency, House Cassomir again finds itself on the verge of yet more changes, as their Viscount is now the betrothed of Queen Alysande herself. Indeed, the Cassomir name is as well-regarded as ever following the Thorn Insurgency, thanks to the heroic contributions of several of their members. After centuries of loyal service, it seems that the steadfast Cassomirs have found their moment in the sun, whether they wished for it or not. Towns: Iron March is the largest town in the County of Ironhold, as well as the location of the House seat, Roseguard Castle. This walled town is just on the edge of blossoming into a full-fledged city, but the attitude remains very "small town" despite their reasonably large population. It is notable for the large fields that have been cleared around it that are clearly designed for the mustering and drilling of troops. There are almost always formations of some type of troops or another practicing in these fields, be it peasant militia, archers, or knights. Several smiths ply their trade in this town, and it is known as a good place for an up-and-coming metalcrafter to make a name for themselves as it is relatively free of Guild influence. During the major festivals of the year, the open fields are turned into tournament and fair grounds, and visitors from throughout the Barony and beyond come visit to enjoy the festivities (even the mines virtually shut down for a few days). Visitors from outside the County who happen to partake of these festivals are usually surprised by the exuberant celebrations from the seemingly-staid House Cassomir. Rivergate sits on the Western edge of the County upon the Copper River, and is a bustling little trade town for goods being shipped southward from the Duchy of Normont, as well as for merchants shipping their own goods from Ironhold to points further south. It is also famous for the large stone bridge that spans the Copper River here, built by the Etharian Empire, with arches tall enough for ships to sail under. Rivergate makes a decent degree of coin charging tolls to cross the bridge, given that it is the only safe crossing point for many miles in either direction. Rivergate has a reputation as a rather boisterous place, with competing river merchants often letting their competitive spirit get the better of them, resulting in anything from formal bare-knuckle brawls or wrestling matches to dangerous river-races, though it's usually not so serious as to cause loss of life or damage to the town proper. Darker and deeper rumors claim that the Syndicate may well have a presence here, though if so, they keep it very quiet. The Merchants' Guild is known to have a chapter house present as well. Fortifications: Roseguard Castle is a castle of surprising size and fortification, even for a County seat. 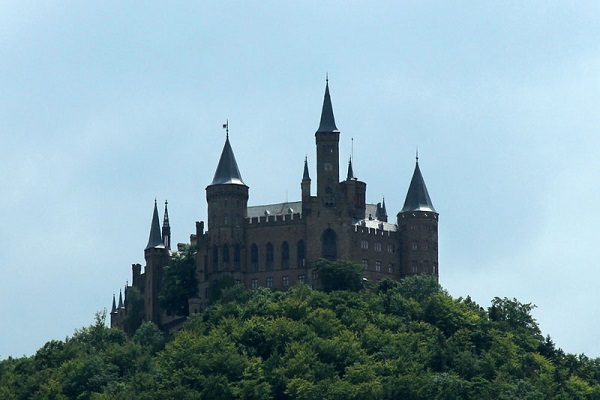 It is also the newest castle in Rivana, having been built quite rapidly in the wake of the Rivanan Civil War, thanks to a generous infusion of funds from House Tracano (as well as, according to rumors, assistance from the Church of the One Faith). Much in keeping with the history and tenor of House Cassomir, it rests nestled in a highly defensible location atop a hill overlooking Iron March. The burnt ruin of the old Cassomir seat, Castle Ironhold, rests about a mile away upon another hill, and the hillside and forest surrounding it seem to have an eerie gloom upon them, causing most to avoid the area. While it would be generous to call them true fortifications, many of the roads and major paths through the Heartswood have small outposts affectionately known as "Huntress Lodges" situated on the longer stretches between towns. These small wood-and-earthen forts offer shelter to Cassomir military forces while on long patrols. Despite their nickname, they are more commonly utilized by the Iron Guard than the Huntresses, as the latter tend to range deeper into the forest, away from the trappings of civilization, though certainly they will utilize them when available. Of course, Huntress Lodges have yet to be built in the Western portion of the County. Rivergate houses a trio of small fortifications, with gated watchtowers on each side of the great stone bridge, and a large, lightly fortified manse called Waterstone Hall. Waterstone Hall and Rivergate were formerly the home of a distant cadet branch of the Tracano family, who regrettably perished while fighting for the Rose during the Succession. Terrain: Tall hills and the dense forest known as the Heartswood make up the bulk of terrain in the County of Ironhold, with the occasional clearing cut away to make room for towns and villages (or of course the famed Iron Mines). Several well-worn sub-roads and pathways all connect these towns, and villages to the main road that passes through the County, leading towards Sunsreach and linking Metalmire, Iron Watch, and Rivergate. A handful of tributaries of the Copper River in the west, coupled with clear streams running out of the hills and through the Heartswood, as well as a few hot springs provide fresh water for the nearly land-locked County, though it does have access to the Copper River on its western border. 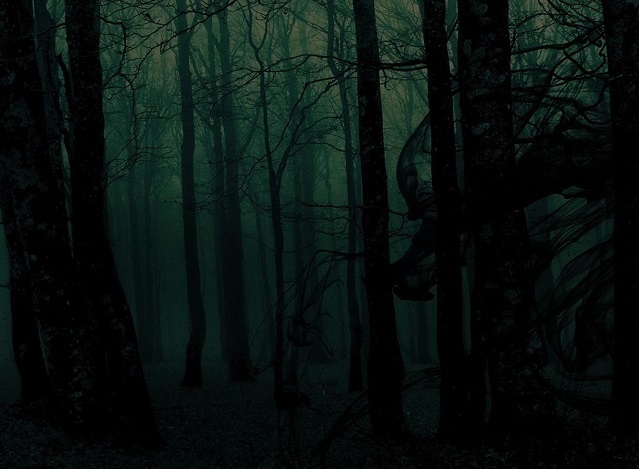 Very few people live outside the towns and villages, and save for hunters and woodsfolk stick to the roads when traveling, as there are still bears and other dangerous predators to be found within the Heartswood (as well as the occasional legend or rumor of even darker things). The western portion of the County has been newly granted, and was an area whose noble population was devastated during the Succession War. As a former part of the Fallow Lands, it is somewhat sparsely populated save for Rivergate and a few small towns, and may well have bandits and other secrets hidden deep within its' portion of the Heartswood. House Cassomir has several hedge knight families in its' service, many of which manage lands for the House in a non-hereditary fashion (even if in practice some of them have been managing the same lands for several generations). Cassomir Knights: Every Knight, Noble or Common, that is trained and raised up by those in service to House Cassomir is sent to Sunsreach to undertake the testing and training to join the Rivanan Royal Lancers. Per now-centuries old agreements, while House Tracano can claim the single best of the Knights for their personal guard, the second best must be returned to Ironhold to join their house cavalry, and thus alternating between acceptable candidates until half have been taken into the Royal Guard, and the other half returned to Ironhold to form the core of their Knights. The candidates who do not "make the cut" are subjected to further training and scrutiny upon returning to Ironhold, and only permitted to fully join the heavy cavalry once exacting standards have been met. Aside from being fierce fighters on the battlefield, Cassomir-trained knights have a reputation as tourney champions and exemplars of chivalry. Their numbers are small though…but a single regiment, and certainly there are other cavalry units just as storied and highly-regarded. Also, while House Cassomir's heavy cavalry is renowned, they have little in the way of lighter cavalry forces. Huntresses of Ironhold: The heavily wooded Ironhold provides a fruitful proving ground for the making of excellent scouts and woodsmen, but among the military forces of Ironhold, the most renowned of the scouts are the all-female Huntresses of Ironhold. Organized over four-hundred years ago, it has been the province of the eldest non-inheriting daughter of House Cassomir (known as the Mistress of the Hunt) to command the Huntresses ever since. They have particular enmity with the Wraiths of House l’Saigner, as the clashes between the two forces during the Thirty Years' War led to much bloodshed. While highly-skilled scouts by any measure, within the borders of Ironhold the Huntresses are virtually invisible and silent, and have deep familiarity with the lay of the land. Huntresses are usually of common birth (many are daughters of Hedge Knights serving Ironhold) save for the Mistress of the Hunt, though the occasional noblewoman from the cadet branches of House Cassomir serves as a senior officer within the unit. Iron Guard: These are the guards and watchmen who defend the County in war and peace. During both the Thirty Years' War and the Rivanan Civil War, the Iron Guard repelled multiple attempts to seize the mines of Metalmire and invade the Barony. They remain among some of the most disciplined and seasoned defenders in Rivana. Even the Thorn eventually conceded (under the advice of Bryar Haldis) that attempting to seize Ironhold would ultimately cost more lives than he could afford to lose, and so settled for trying to keep it cut off from its' allies instead (with limited success). In the present day, the Iron Guard helps assure that the roads and towns of Ironhold are safe, making banditry a rare occurrence within the County despite the thick woods being ideally suited for such pursuits. They are well-regarded within the County and many a common lad aspires to joining their number. Hard as Iron: While House Cassomir's knights, huntresses, and garrison forces are particularly renowned, virtually all the troops they possess tend to be a cut above the common soldier, to include well-trained archers, infantry, and even peasant levies that fight harder and with considerably more discipline than most. While the population of the County is not so great as to produce great numbers of troops, the formations that House Cassomir fields are often used as the spearheads and cores of larger armies, and renowned for being able to take on greater numbers and still attain victory. Perhaps nothing speaks more highly of the reputation of Cassomir fighters than that during the Rivanan Civil War, even Sir Bryar Haldis preferred to avoid throwing any significant numbers against the men of Ironhold (he was, however, quite adept at outmaneuvering them to avoid combat, or tying them up with minimal forces in order to throw his full weight somewhere his enemies were weaker), and when given no other choice but to fully engage with them, usually found his efforts stalemated by their fierce resolve. Militia: None presently mustered, however Ironhold's Militia is better-trained and equipped than most. Total Peasant Militia: None at this time. Ironhold (and thus House Cassomir) draws much of its wealth from a series of rich lodes of iron tucked into the north-central portion of the County. The iron from the mines of Metalmire is known for being of particularly high quality and quite suitable for making excellent steel. Of course House Cassomir itself benefits greatly from this, which may go a long way towards explaining their long-held martial traditions and very well-equipped forces. Cassomir Steel is traded briskly throughout Rivana and even beyond, and if not the best quality steel in the world is certainly considered much better than average. With the expansion of the Barony, it has actually granted them a few more small mines in the Western portion of the County, though the quality of ore is not quite so great as the eastern veins of Metalmire. King Jaren Tracano nee Cassomir – Born 1832. One of the most famous knights on the Edge and the Queen’s Champion. Recently married to Queen Alysande Tracano. Raelyn Cassomir – Mistress of the Hunt and Viscountess with Jaren's marriage to the Queen. Emilia Cassomir – The ‘touched’ Cassomir. A Huntress believed to have been driven mad by the death of her family. Graham Cassomir - Second cousin to the Viscount, a Knight. Brother to Adrienne Cassomir. Adrienne Cassomir - Second cousin to the Viscount, and a Huntress of Ironhold. Sister to Graham Cassomir. Stephen Cassomir nee Greycen - Born 1841. A notable Warden of Seaguard. Survived a harsh time as a prisoner during the Succession War. Recently married to Raelyn Cassomir. The Bastards of Renee Cassomir and Alan Strongbow – Cousins to the current Viscount and the children of the previous Mistress of the Hunt and her common born lover. Born 1843 and 1847. The elder, a male, is a hedge knight and presently serves as an officer within the Iron Guard. The younger, a female, is a freshly-minted Huntress of Ironhold. Matthew Cassomir - Born 1824. Youngest twin born to Damon and Cassella Cassomir Lancers who died defending Prince Ferdinand Tracano in the Thirty Years War. Married Maria Aldana and had three children. First cousin once removed of the Viscount. The Child of Matthew and Maria Cassomir (nee Aldana) – Born 1850. Sibling to Graham and Adrienne, and Second cousin to the Viscount. The Children of Paule Cassomir and Tamia Cassomir (nee Carver) – True twins born in 1844. Their father, Matthew's elder twin was killed in the Succession War and their mother fled after the war when her house was divested for supporting the Thorns. Second cousins to the Viscount. Donal Cassomir – Born 1812. A famous retired royal lancer who married Dara Tracano late in life and had two children. Neutral during the Succession War. Uncle to the Viscount. Dara Cassomir (nee Tracano) - A skilled knight and the mother of Alaina and Vincent. Alaina Cassomir - Born 1843. A recently made Royal Lancer. First cousin to the Viscount. Vincent Cassomir - Born 1845. First cousin to the Viscount. Baron Aric Cassomir – 1809-1861. Head of the House through all but the very end of the Succession War. A long-time friend of Arturo Tracano and one of his chief supporters. Baroness Mathilda Durante - 1811-1861. Wife of Aric Cassomir. Steered Ironhold with a steady hand while raising her family during the Thirty Years' War and Succession War that followed. Darren Cassomir - 1827-1860. Eldest son of Aric and Mathilda Cassomir. Died attempting to retrieve the bodies of Lord Arturo Tracano and his brother, Matias Cassomir in the battle that claimed their lives. Matias Cassomir - 1828-1860. Second son of Aric and Mathilda Cassomir. A Royal Lancer, Matias was known for his wit and charm. He perished in the same battle that claimed Arturo Tracano's life, but not before slaying two of Anton Tracano's Royal Lancers single-handedly, including Sir Guillame Marwyn. Randall Cassomir - 1830 - 1861. Third son of Aric and Mathilda Cassomir. Killed by Thorn forces in the Invasion of Ironhold in 1861. Renee Cassomir – 1818-1861. The youngest sister of Baron Aric Tracano the Mistress of the Hunt until her death. A Note on Donal Cassomir and descendants: Donal Cassomir moved to Sunsreach during the Succession War in order to stay neutral. He brought his wife and children with him. This part of the house remains in Sunsreach in a manse given to them by the Durante, but have remained on good terms with the mainline in Ironhold. Good Reputation - House Cassomir is generally upheld as a bastion of honor, valor, and loyalty within Rivana. They are known for honest dealings and generally well-regarded by the other nobility of Rivana (though of course individual exceptions may exist). Many considered their recent elevation to County status long overdue. Well-Equipped - With a ready supply of high-quality iron good for making steel and a plethora of skilled smiths, members of House Cassomir usually never lack for good-quality weapons and armor. Popular (Nobles Only) - Nobles of House Cassomir tend towards closer interactions with their smallfolk than many other houses, which tends to foster great loyalty among their subjects. With Ironhold being a bit more wild and untamed than many parts of Rivana, all folk of the County know they need to work together to prosper. Superstitious - There are all sorts of tales told about the thick forests that engulf much of Ironhold, and many of them are dark indeed. It is not uncommon to hear tales of terrible beasts and ghosts (such as the "Widow of the Wood") told and re-told within the province, and many of the smallfolk and even a few of the nobles often observe many supposed precautions against such things in their homes and daily lives, which can seem somewhat quaint to outsiders (If only they knew). This trait is very common among Ironhold's commoners, and less so (but far from unheard of) in its' nobility. Nobles: Martial prowess is highly prized in House Cassomir, and noble children of both genders are usually well-trained as fighters of one type or another. Honor is a highly prized commodity as well, and generally those of Cassomir blood are considered above reproach in this regard, at least until they do something to no longer warrant the benefit of the doubt. They tend towards fierce loyalty to each other and to their Tracano lieges, and are usually devout adherents of the One Faith, hewing closely to the moral standards espoused by that religion. Outwardly, they tend to be solemn and earnest, but not naive, leading to a bit of a reputation as humorless prigs (even if it's not entirely true). Their humor, when it comes, veers towards the deadpan variety, which means it sometimes goes over the heads of those around them. This isn't to say that they don't know how to have "real" fun, though, and in truth for all their honor Cassomir nobles can often be a good bit more earthy than many other families, and tend to be relatively close to their smallfolk. It makes for some very interesting times when the yearly festivals roll around, and the normally-staid Cassomirs can be found dancing in the streets with miners, barkeeps, and washer-women as easily as fellow nobles. Ultimately, Cassomir nobles tend to live simply and modestly (particularly in comparison to their Tracano lieges), but certainly not to the point of appearing impoverished or much less Common. They simply don't tend towards extravagance and unneeded luxury. Commoners: The Common folk of the barony of Ironhold tend to be hard-working but well-treated by their rulers. They are fiercely proud of their little piece of Rivana and tend to rally behind their leaders at a moments' notice. A bit of the martial prowess of House Cassomir has rubbed off on its' peasants, and even the levies of Ironhold tend to be a cut above those found elsewhere when assembled, as militia training is held frequently and much of the peasantry did see combat during Rivana's civil war. Ironhold folk do tend to have a superstitious streak, however, and while many see them as a sober and serious lot, they do cut loose quite a bit when the festivals roll around. They tend to treat outsiders somewhat coolly, including those from within Rivana, as the scars of the civil war have not fully healed. Working conditions are surprisingly good for most, with miners in particular well-cared for due to the value they bring the Barony. Blood of Heroes: Sir Daved Cassomir, who held back thousands upon thousands of Brodlund Raiders while leading but a few hundred men. Sir Tedric Cassomir, whose charge broke the back of the Kherzari Horde during their last failed attempt to conquer Rivana, thus securing the new Kingdom as a power in its' own right. Baron Neale Cassomir, who was pierced by no less than eight Alhazred arrows and slew twelve men single-handedly before he perished in defense of his King, or Neale's sister, Lady Monica Cassomir, known as the First Huntress, who rallied the women of Ironhold to fight back against Alhazred invaders during that same incursion, and forever cemented the Huntresses of Ironhold as some of the most famed Scouts and woodland fighters of the Edge. The Cassomir name has a tendency to pop up in conspicuous fashion across Rivana's history, usually performing deeds of great valor, and those tales continue to spread through the centuries. Even today, Baron Jaren Cassomir seems to carry on in the vein of his heroic ancestors as the Champion of the Rose Queen, a title none dispute he is deserving of. Whether it's something in the water in Ironhold or simply in the blood of House Cassomir, they have a remarkable tendency to end up in the right place and right time to make a significant impact on history, whether they like it or not. Winterthorn: Winterthorn is the sidhe-steel blade wielded by the heads of House Cassomir. Gifted to Javier Cassomir by Travian Tracano after Sir Daved's heroic stand, the blade has been wielded in countless battles since then, and always served its' wielder well. "Winterthorn" is a new name for the blade, though, as it is an ancient weapon, and it was redubbed when it was gifted to the Cassomir family to reflect Daved's battle against the raiders of Brodlund. Its' original name, if any, has been lost to the mists of time long before it ever fell into the hands of the Tracano family. Ruth's Ghost: The Baron Javier Cassomir III was a harsh and uncompromising man that bordered on cruelty. One of the few Cassomir rulers to largely lose the love of his people, he was wed to the beautiful and gentle Lady Ruth Chaves of Azure Lake in a union that was assuredly pure politics, as no love was to be had between the couple, though Ruth proved dutiful enough to produce two sons and worked diligently to mitigate the damage her husband's actions caused their relationship with the people of Ironhold, she eventually took to living in the keep at Wolveston, having always had a fascination for the packs of wolves that wandered the vale. It is said she took to long walks in the Vale, often solitary despite the admonitions of servants and family alike. As legend would have it, during her wanderings in the vale a huntsman came upon her and they fell madly in love with each other. When the Baron found out he was being cuckolded, he marched to Wolveston, dragged Ruth into the town square, and executed her. What happened next is subject to many conflicting tales: Some say Ruth's love fled, leading the Baron into the Vale where he was attacked and torn apart by a pack of wolves. Others say the Huntsman transformed into a great wolf and slew the Baron himself. Less-fantastic versions claim the Huntsman and some of the townsfolk ambushed the Baron just outside the town and slew him, or even that the Huntsman was executed, but the Baron's own son turned against him and struck him down when he ordered the razing of Wolveston and the slaughter of its' people. The official record was lost in the burning of Ironhold Castle, but a supposed transcription at the Great Library of Summerseat lists Javier III's cause of death as "Hunting accident" just a few days after his wife was executed. Regardless, the folk of Wolveston are convinced that Lady Ruth's spirit still wanders the hills and vale, a sad and lonely figure seeking her lover, and taking comfort in the presence of the wolves she was so enamored of in life. A New Haunting? : None can deny that there is certainly some kind of pall over the ruins of Castle Ironhold and the forested hill that it rests upon. Animals don't seem to go there. Shadows seem deeper, and the hair on the back of ones' neck and hands tends to stand on end the closer they get to the Ruin. Some claim its' the ghost of the old Baron and his wife grieving for the lives they lost. Others claim that the Widow of the Wood has taken residence in the ruins, and say that they've heard her wail coming from the hilltop in recent years. 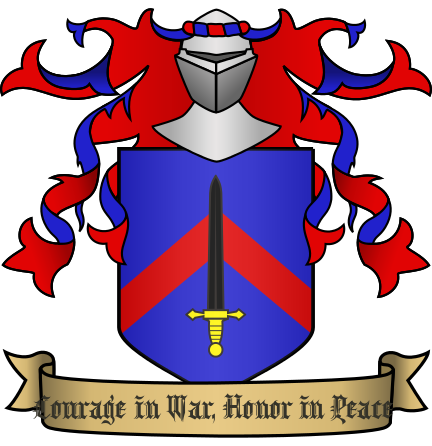 Honor and Glory: House Cassomir has long been upheld by Rivanans as a paragon of honor and martial prowess. Every major victory House Tracano has won, there have been members of House Cassomir fighting by their sides, and often playing decisive roles in those battles. There have been sons (and the occasional daughter) of House Cassomir serving in the Royal Lancers of House Tracano since the founding of the Kingdom of Rivana. When romantic and adventuresome tales of chivalry and daring are told by bards in Rivana, it is quite natural for Rivanans to picture the Knightly protagonists as Knights of House Cassomir (well, unless you happen to be from Haldis lands, anyway). Interestingly, the warriors of House Cassomir are known more for personal skill at arms than being great war leaders. While certainly a few great Rivanan generals have come from the Cassomir line over the centuries, they generally tend more towards competent yet conservative military leaders best utilized as subordinates to more innovative and audacious commanders. What they may lack in tactical and strategic greatness, however, they tend to make up for in inspirational and motivating qualities. A Noble Knight of House Cassomir might not be the fellow who comes up with the plan, but he'll certainly be the fellow the commander wants leading the charge when the time comes, because those around him will often have no hesitation in following. House Haldis is unquestionably the greatest military power in Rivana, and rightfully deserves its' reputation for producing fierce and highly skilled warriors, but the subtle difference is that House Cassomir tends to have the reputation of producing heroes, deservedly or not. Uptight…Or Not? : A reputation for honor and skill at arms usually means people assume that members of House Cassomir are likely to be humorless sticks-in-the-mud. While it may be true that nobles of House Cassomir can be prone to sobriety and solemn mien, they also clearly enjoy their festivals, putting on some of the most exuberant and cheerful celebrations in Rivana when the proper times come. Even nobles of other families have been known to travel to Ironhold for at least one of the yearly festivals, and there is great prestige in winning any event at either of their bi-annual tournaments (especially if a traveling knight manages to best the competitors from "the home team.") While they are gracious hosts at any time, during these festivals House Cassomir tends to pull out all the stops for their noble visitors, often leaving them somewhat befuddled as to how the "uptight" Cassomirs could throw such excellent parties. The Secrets of Roseguard Castle: Roseguard Castle was built quite quickly by any standard (but not sloppily) and involved a more-than-significant expenditure of resources. While House Tracano certainly made generous (and quite public) donations to the project (in thanks to Sir Jaren's heroic defense of the Rose during the Civil War), many of those architects and engineers that were sent found themselves working with a great number of similarly-skilled individuals from Sanctum. Moreover, the construction was highly unusual, in that the workers and craftsmen from Sanctum were usually assigned to work on segments of the Castle that the Rivanan workers were not permitted access to, leading some to wonder what exactly the Church's interest in House Cassomir might be. Miraculously, despite the segregated workers, the castle came together properly, but that certainly hasn't stopped the whispered questions of what's really going on in Roseguard Castle. Some say it holds a dungeon for Inquisitors of the One Faith to perform their Inquests of Heretics and Witches. Others point to renovations of the Church in Iron March that were carried out at the same time as the castle construction, and posit that a secret passageway links the two buildings. One thing's for sure: Roseguard has a lot of guest quarters…and while that's handy for the renowned festivals that Ironhold throws every year, in the off-season it seems like a lot of people attached to the Church of the One Faith have paid visits to the Castle…particularly those bearing the symbols of the Holy Inquisition. It is customary for a noble who is marrying into House Cassomir to be given a small vial of iron filings by their new spouse during the wedding ceremony (generally just after the turning of the wedding cloak), symbolizing that the bounty of Ironhold's lands now partially belongs to them as well. If the spouse wears the vial around their neck regularly, it supposedly marks the pairing as a love match. It is customary for at least one Commoner (not counting Clergy) to have a seat at the Lord's table at Cassomir wedding feasts and to play a part in the wedding ceremony itself. Most of the time this is an influential individual from the surrounding area (A village/town elder, A mine foreman, a master craftsman, etc…), who symbolically represents the common folk of Ironhold during the proceedings. During the ceremony, they offer the vial of iron filings to the native Cassomir, who then presents it to their spouse, symbolizing the link between the land, the people, and their rulers. Cassomirs serve Wedding Pies in the spring through autumn, and Wedding Stew in winter. Both have very specific recipes using ingredients found within the old Barony of Ironhold. It is considered bad luck for the married couple if for some reason a particular ingredient can't be found (There is some debate as to whether the bad luck applies if someone imports the same ingredient from outside the old Barony's bounds, however). With the expansion of Ironhold to a County, it may well be that the recipes will expand or alter to encompass the bounty of the newly-added lands as well. Wedding Wine is usually only served to the official wedding party and their most honored guests at Cassomir weddings (including the "Commoner Representative"). Good quality wine (particularly Tracano Red) tends to be available in abundance for everyone else. Casks of beers and ales are often spread about the surrounding community, allowing the smallfolk to celebrate along with their rulers in their own way (and giving them something to wash their wedding pie or stew down with). Mai, 1865 IA, The Barony of Ironhold was expanded to become the County of Ironhold, and the Baron of Ironhold was elevated to the rank of Viscount of Ironhold. This has brought a large influx of new lands, more than tripling the size of the Barony. 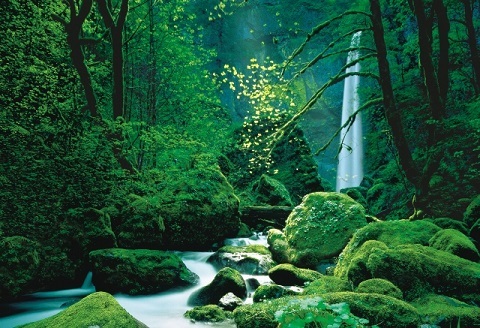 Much of the land remains heavily forested and uninhabited, but still a good source of the types of resources that can be drawn from such lands, to say nothing of more arable farmlands along its' southern border. Many a noble knight is jockeying to hopefully be granted lands to govern in this area of what used to be part of the "Fallow Lands." (See House Tracano for information on the Fallow Lands). House Tracano : Our Lieges and our closest allies. As they command, we follow. The Rose Queen shows us much favor, and we must continue to prove ourselves worthy of it. We have ever been their strong shield arm, and will continue to be for as long as they require. House Haldis : We were brothers in arms long before we were enemies, and though much blood was spilled between us in the War of the Rose and Thorn, we will never forget that it was their ancestors that gave their lives alongside our own at Sir Daved's Stand. Nor will we forget that we share more blood through marriage with this House than any other save the royal house and its' vassals. We are a kingdom united once more, and we will not allow grudges to fester. We are the Shield of Tracano, but they are the Sword of Rivana, and our Kingdom needs their strength…even if their Duke's motives are suspect in the eyes of some.